Are you ready to soar above the forest canopy on a zipline, relax on beaches on the Pacific coast, explore the Caribbean jungle and swim in crystal clear water under a waterfall? Are you ready to travel in Costa Rica? My Costa Rica is here to help! Our Costa Rica Travel Guide offers valuable information on the top tourist destinations as well as valuable Costa Rica travel tips. Vacationing in Costa Rica has never been easier and our travel guide offers tips and advice to help you save time, money & get the most out of your next Costa Rica vacation. Find out the best time to travel to Costa Rica, hotels, tours and more. The Costa Rica Travel Guide, written by local experts offers you REAL ADVICE about where to stay and go and how to make your next trip to Costa Rica incredible. The My Costa Rica team has traveled extensively in Costa Rica and we know our tour providers well. We conduct periodic site inspections of the properties and tours that we represent so that we can guarantee their quality. Our office is located in the capital of San Jose, Costa Rica, so we meet our guests at the airport when they arrive and are on call for them during their entire vacation. Planning a vacation to a foreign country, especially in Central America, can be stressful and time-consuming, especially when you don’t know the language or where to go. We help make it easy for you by creating custom Costa Rica travel packages to fit your interests and budget. We will work with you to make your travel itinerary perfect. Best of all, we charge NO FEE for our services and can help you SAVE MONEY while getting the most out of your time here. We hope you enjoy our Costa Rica Travel page and perhaps we’ll see you in tropical paradise. Get your custom itinerary today! Learn Everything You Need to Know to Visit Costa Rica! There are lot of biodiverse countries in the world, but in our opinion, Costa Rica is the best country in the world. Between pristine beaches on both the Pacific coast and Caribbean coast, a national park full of beautiful flora and fauna around every corner and hundreds of plant and animal species in every popular tourist destination, Costa Rica’s natural beauty cannot be beat! It’s truly a magical place. 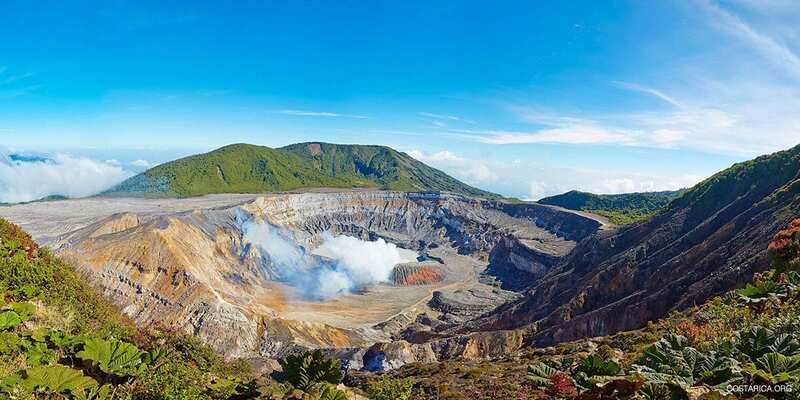 All of various attractions in Costa Rica make it a great place for relaxing and adventurous tours and activities. You can visit hot springs in La Fortuna, find the Resplendent Quetzal in the Monteverde Cloud Forest, go scuba diving in Cahuita National Park, do yoga in Nicoya, go on a rafting trip in the Pacuare River or canyoning below the Turrialba Volcano, see scarlet macaws in Jaco, go horseback riding in Rincon de la Vieja, watch turtles nest in Tortuguero and relax on any of the hundreds of beaches! Every tourist who visits Costa Rica can find exactly what they need for a perfect tropical vacation. My Costa Rica understands that you might be overwhelmed when planning your Costa Rica vacation and we are here to help! Whether you want to learn about Ticos, holidays and events, species of birds, potable water, renting a car, Costa Rican real estate, rice and beans in the Limon Province, what to pack, which coast or beaches to visit, coffee plantations, the Nicoya Peninsula, or the Irazu Volcano, costarica.org can help you find what you’re looking for. The people of Costa Rica are called ‘Ticos’ and they come in all shapes, sizes and backgrounds. Ticos will inspire you with the pura vida spirit and a strong sense of national pride. Find out more about the Ticos here. What type of foods do you like? Costa Rica is a unique country full of great cuisine. You will love to taste the delicious meals and dishes prepared at local restaurants. Try a casado served with an ice cold Imperial or gallo pinto with fresh coffee. They also have a large variety of fruits and vegetables at the local farmer’s markets (ferias). The biodiversity in Costa Rica is astonishing. Costa Rica wildlife includes sloths, monkeys, tropical birds and more! You might also see crocodiles, whales, tapirs, scarlet macaws, snakes or iguanas. Thinking about driving yourself around Costa Rica? It’s a great way to see different areas and places that aren’t accessible by bus. Read everything you need to know about driving and renting a car in Costa Rica? What type of transportation do you need for Costa Rica? Is it safe to drive in Costa Rica? Are there domestic flights in Costa Rica? Find out the best methods of transportation offered in Costa Rica! Find out all about this niche real estate market that is starting to flourish in the land of Pura Vida. You will be amazed at the prices and how reasonable it can be to live in Costa Rica. Learn about Costa Rican real estate and join us in paradise! Living in Costa Rica is a unique and amazing experience. Check out what makes living in Costa Rica so great and what you should to do prepare to move here. Check out come of the amazing videos of Costa Rica we have. Also, see some of the best hotels. Read about how Costa Rica is a one of the safest countries in Central America (and North America!). Find information about drinking water, petty theft, vaccinations, animals and more. It really is a safe country to visit. Packing for a Costa Rica vacation can be tough and we want to help you have the best trip. What do you even bring to a tropical country in central America? That is why we have put together the best guide to packing for Costa Rica. Are you a little hesitant about visiting another country? We will tell you how Costa Rica is one of the safest and most beautiful countries to travel to. Click here and find out why you should plan a Costa Rican vacation. Is it safe to travel to Costa Rica? Where should I go? Where should I stay? Can I use my phone in Costa Rica? Is the water safe to drink? Get all your questions answered on our Frequently Asked Questions page! Traveling to a foreign country sometimes means extra vaccinations. Find out what vaccinations you need to travel to Costa Rica! The most important part of Costa Rica Travel is your passport. Without it, you cannot enter the country. Most people only need a tourist to enter but some may need a special visa to enter the Country. Find out what countries need a visa here. Here are the best Costa Rica Travel Tips for your next Vacation to Costa Rica. Find out what you need so you can have the best vacation of all time in this Central American country. Costa Rica has some unpredictable weather, but you can avoid the rain by clicking here! Find out the best times of year to visit Costa Rica. The time for spring break comes fast so why not plan ahead for a great experience with your friends. Plan the ultimate vacation for the excitement and thrill of a lifetime. After your trip it can be a little depressing to leave the tourist life behind, go back to work and have a normal life. Find out how to deal with life after your Costa Rica vacation. Enjoy the many Costa Rica holidays, festivals and events. From January 1st until December 31st there is a holiday almost every week of the year. One thing that most of us always forget until the last minute is Travel Insurance. What is the best type of travel Insurance? Where can I get it? How much coverage should I get? Check out our Safety Article for tips and tricks. Would you like to receive some extra tips on how to travel to Costa Rica with children? Read our article full of practical tips and top destinations! Are you looking for a different kind of family vacation? How about taking the whole family on a volunteering vacation in Costa Rica? Read all about the best options in family volunteering!